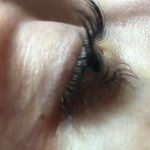 Lash Lifting is such a popular treatment here at the Salon. Left shows you a before and after lift and tint. 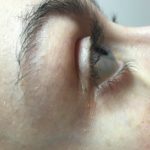 A simple low maintenance way to give your own lashes a natural lift and also look longer. Patch testing is required at least 48 hours before we can commence with the treatment. We are no longer offering lash extensions but this is a great alternative. CACI is becoming increasingly popular, with new Clients coming to us each month, we are the best at what we do apparently which is a great compliment to receive! To find out how this amazing treatment works just give us a call or check out our on line brochure for more details. Amy has completed her level 3 VTCT in Beauty Therapy and is delighted to have received her certificates which now hang proudly on our walls. Congratulations to Amy!